In this article, learn how to fix "Microsoft Office Professional Plus 2016 encountered an error during setup" while installing Office. 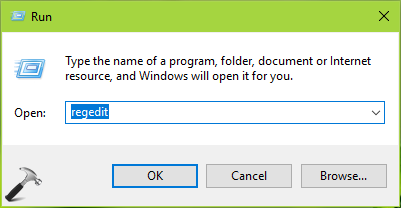 Microsoft Office Professional Plus 2016 encountered an error during setup. After a research on this issue, we found that this error occurs because Office setup is unable to register a scheduled task. This hiccup occurs at OfficeTelemetryAgentLogOn folder inside Office folder in Task Scheduler. Thus fixing this Task Scheduler glitch should help you to rid of this issue. Here are the two different solutions you can deploy to fix this. 1. First of all, follow this guide and use the Uninstall Microsoft Office Tool to remove existing traces of Office installation. The tool is supposed to remove the Office installation traces completely, irrespective of the edition installed. 2. Then open Task Scheduler snap-in and navigate to Task Scheduler Library > Microsoft > Office. Keeping the Office folder selected carefully, in the right most pane, click Delete folder option. 3. Reboot the machine. Retry to install the Office package now and this time it should work fine. If above mentioned steps didn’t worked for you, try FIX 2. 3. In the right pane of above mentioned registry location, right click the Office registry key and select Delete. Select Yes in the confirmation prompt so appear. 4. Reboot the machine and opt to install Office package now, the error should no longer persist. Dude you are a legend! Been struggling with this for days. Finally sorted after following your solution. Many thanks kind sir!